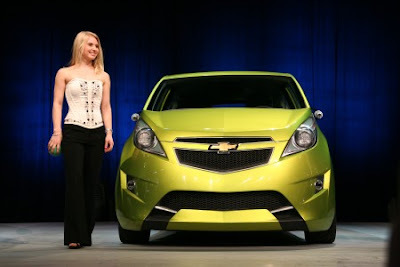 LM: Vision: Hecklers and models at the NY auto show...Where are the pro's? Hecklers and models at the NY auto show...Where are the pro's? 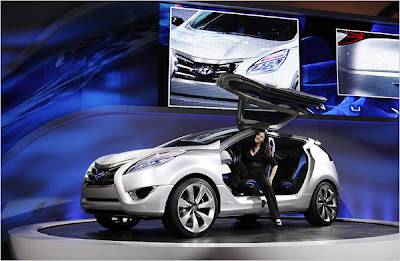 Three days ago, the New York times reported on a story that female models working the floor as announcers for new car concepts at the NY Auto show were being rudely heckled by angry crowd members spewing vitriol at the US car companies. What I find most interesting is that the Times covered this more like a special interest story on how the crowd was somehow being unfair to part-time actresses, and all this was tarnishing the glamour. True, but there is a bigger story, and it goes beyond the auto show circuit. Any car is an immensely challenging product to design, plan, and bring to market. Each represents 10's of thousands of collective hours of work, and is usually the result of a talented teams hard work and effort. Why is it that the result of this hard team-work is displayed in dealers by salesmen who know less than the internet-armed shopper, and at auto shows by actresses who have to memorize the name of the company for which they are working that day? I would argue - especially in this day of reality television - that customers might appreciate seeing and hearing from the team that actually had a hand in making the car. Sure, this might not be feasible at every dealership, but certainly at the major auto shows. I do not mean for press night, but I am suggesting every day that the show is on, the real makers of the car should be there and available to answer questions. Not only would that serve to provide on-lookers with quality information, but it might also serve to connect the makers with the actual users of the product. I can guarantee that products would improve, and that the hecklers would have less to heckle about. What is not to like about that?